My girls love all things blueberry especially blueberry pancakes and muffins. However, with a family of six flipping pancakes gets flipping old fast! 🙂 A few years ago, after spending the day picking fresh blueberries I decided to try and make a pancake muffin so everyone could have their pancakes and I did not have to flip pancakes for hours! And my gluten free pancake muffins were born! 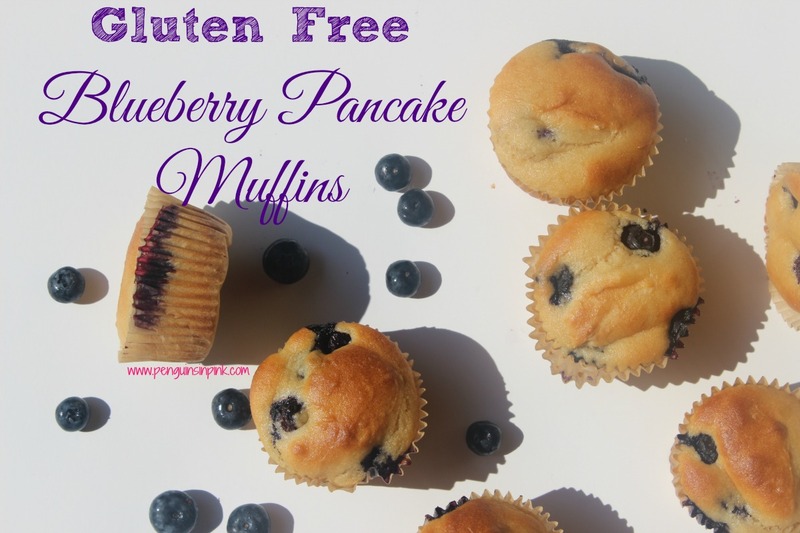 Gluten free blueberry pancake muffins are one of my girls favorite breakfasts! 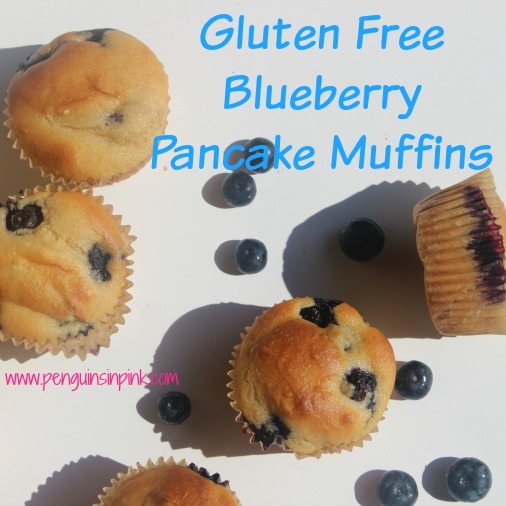 One of my favorite things about gluten free blueberry pancake muffins is that they really do taste like a pancake! The girls love holding a pancake in their hands and I love that they are not covered with sticky syrup afterwards. 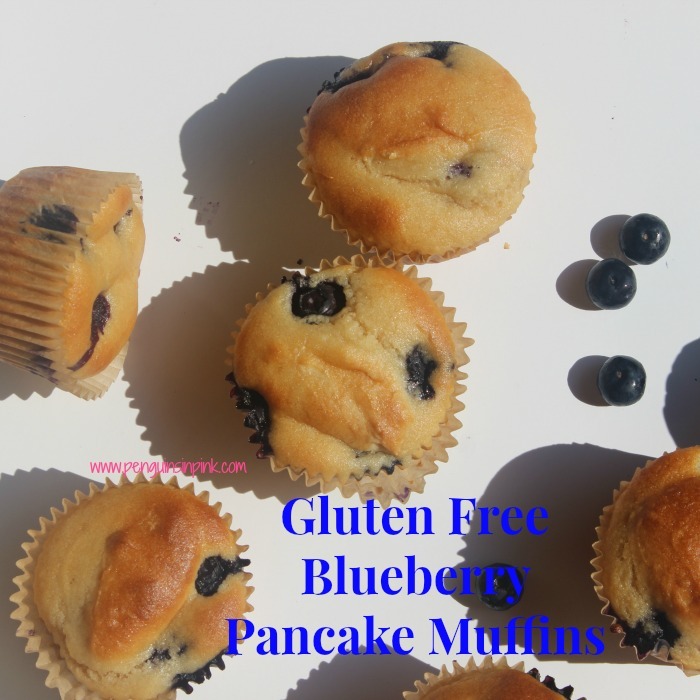 🙂 I love how easy it is to double or triple a batch of gluten free blueberry pancake muffins and stock my freezer with a quick and easy breakfast or snack. 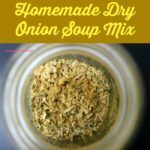 This was my first baking project using Better Batter brand flours and I have been loving and using them since! The gluten free blueberry pancake muffins did not taste anything like gluten free products usually do. 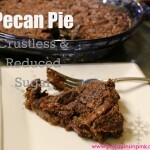 Plus, I did not have to add xanthan gum to the mix because it was already included! Preheat oven to 400 degrees and grease or line muffin tins. In a stand mixer, combine milk, butter and maple syrup, if using. Stir in pancake mix until combined. Mix in 3/4 cup of blueberries. The batter will be thick. Divide remaining blueberries between the 12 muffins, pushing them into the batter slightly. I use Better Batter’s gluten free pancake & biscuit mix to make these muffins and it already contains xanthan gum. If your flour does not, and most don’t, you’ll need to add 2 tsps of xanthan gum to the ingredients. You can use fresh, frozen, or dried blueberries. Just remember if you use frozen your muffins will be blueish-grey from the blueberry juice. To use dried blueberries, place berries in a bowl and cover with 1 cup of warm water to rehydrate. You can mix them directly in the batter but you will need to add more liquid because the dried berries will pull the liquid from the batter to rehydrate. Store any remaining gluten free blueberry pancake muffins in ziptop bag in the refrigerator. The muffins should keep well for up to two days. Alternatively, you can store the leftover muffins in the freezer. Simply put them in a ziptop bag, squeeze all the air out, and freeze. Then reheat in the microwave or thaw on the counter. The maple syrup is optional. I have made the muffins with maple syrup and without. I personally think the maple syrup really makes these gluten free blueberry pancake muffins taste more like pancakes but it does make the muffins sweeter which is why it’s optional. You can also dip the muffins in maple syrup when you serve them but we don’t do that because I prefer not to be covered in syrup! I usually make a quadruple batch of gluten free blueberry pancake muffins. I leave some out for everyone for the next day or two and freeze the rest. 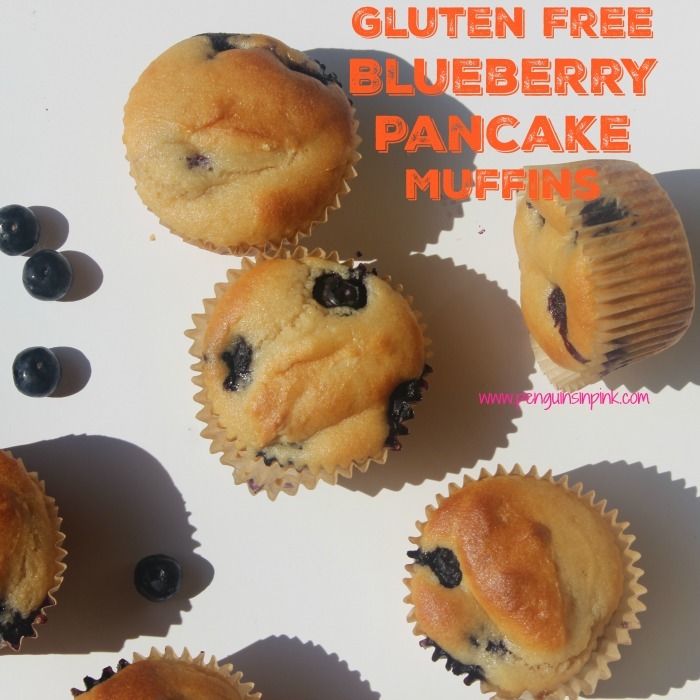 Which way would you like the gluten free blueberry pancake muffins with maple syrup baked in the muffin or would you like to dip your muffin in the syrup? I use Better Batter's gluten free pancake & biscuit mix to make these muffins and it already contains xanthan gum. If your flour does not, and most don't, you'll need to add 2 tsps of xanthan gum to the ingredients. You can use fresh, frozen, or dried blueberries. Just remember if you use frozen your muffins will be blueish-grey from the blueberry juice. To use dried blueberries, place berries in a bowl and cover with 1 cup of warm water to rehydrate. You can mix them directly in the batter but you will need to add more liquid because the dried berries will pull the liquid from the batter to rehydrate. !To store: Store any remaining gluten free blueberry pancake muffins in ziptop bag in the refrigerator. The muffins should keep well for up to two days. OR Alternatively, you can store the leftover muffins in the freezer. 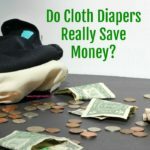 Simply put them in a ziptop bag, squeeze all the air out, and freeze. Then reheat in the microwave or thaw on the counter.